The seminar gives detailed information about well-approved strategies for a failure-free and economic operation and maintenance of high-pressure oil, gas and water pipeline systems. The course director and various technical experts give an insight into their experiences and new technologies in operation. 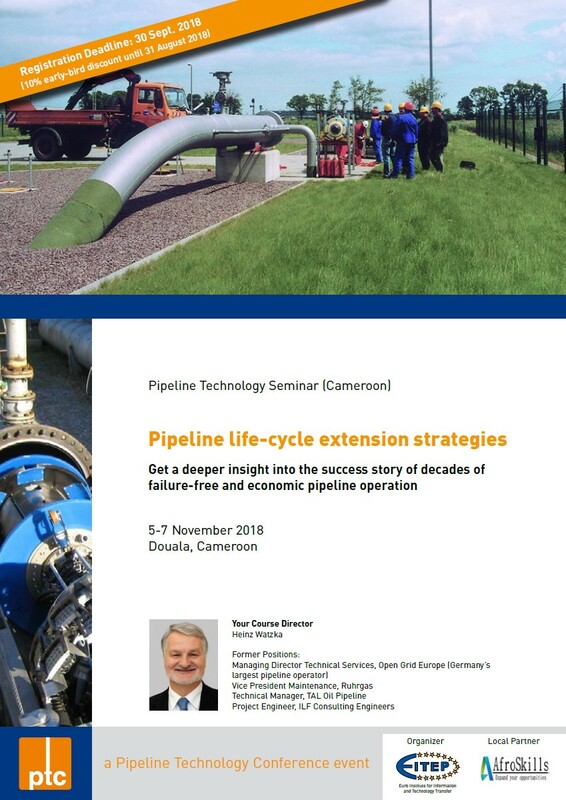 The course director Heinz Watzka will lead you through the seminar and will share his experience from managing oil and gas pipeline operators in Germany/Europe. He will be supported by various technical experts who will provide a deeper insight into state-of-the-art technologies in operation and new developments in the international pipeline market. The seminar starts with an overview on the managerial and technical life-cycle of a pipeline system from the very beginning to the final daily operational works taking into account the fact that some German high-pressure pipeline are now operated for more than 100 years. The following lectures provide details about state-of-the-art internal and external leak detection technologies and other specific pipeline safety measures. The aim is to give the participants a comprehensive overview on different inline inspection technolgies and well-approved solutions for the comprehensive storage, assessment and analysis of relevant data in a PIMS. The seminar closes with an overview about different repair measures taking into account both safety and economic aspects.